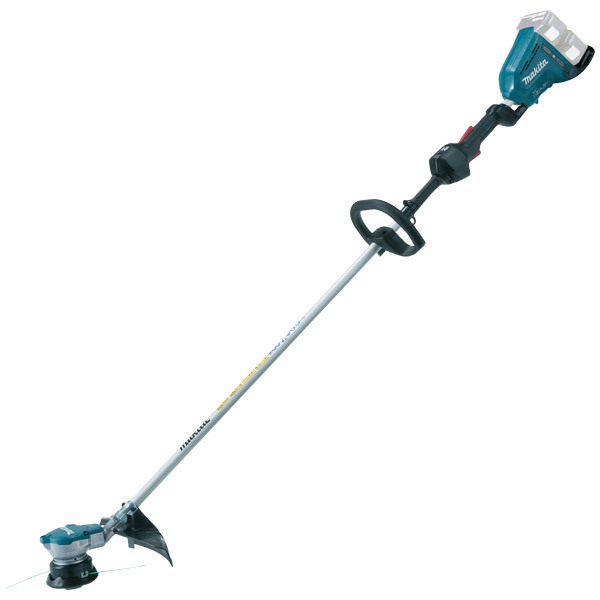 Model DUR364L is a high power cordless grass trimmer with high operability, powered by two 18V Li-ion batteries in series. Nylon cutting head rotating clockwise prevents grass clippings from flying towards user's sideReverse switch for easy removal of grass clippings stuck. Ergonomically designed loop handle with rubberised soft grip.